My daughter’s school released a “Teacher’s Favorite Things” list a few weeks before Christmas. I learned several things about my daughter’s teacher that I didn’t know, including the fact that she likes to knit. I didn’t get her a knitting related Christmas gift, but I decided to take the opportunity to embellish her gift with something that knitters and crocheters alike can agree upon: YARN! 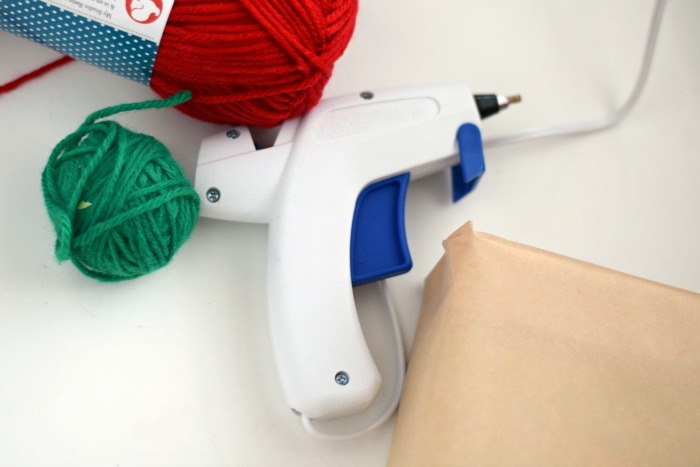 Do you save yarn scraps? 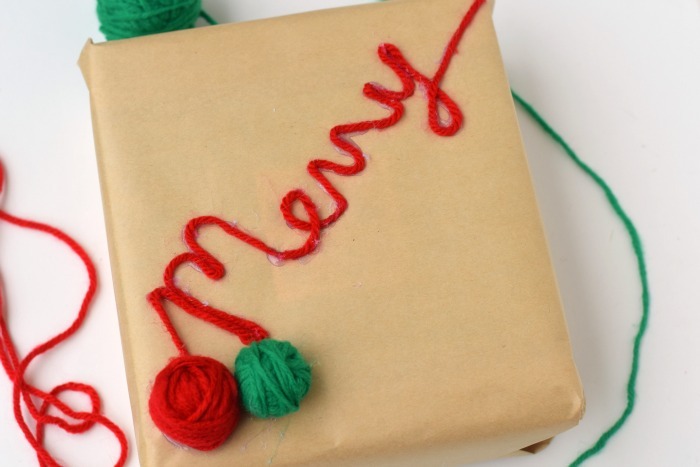 I’ve shared several projects in the past that use yarn scraps, but this gift wrapping idea is probably my favorite. Don’t trash those ends of skeins. 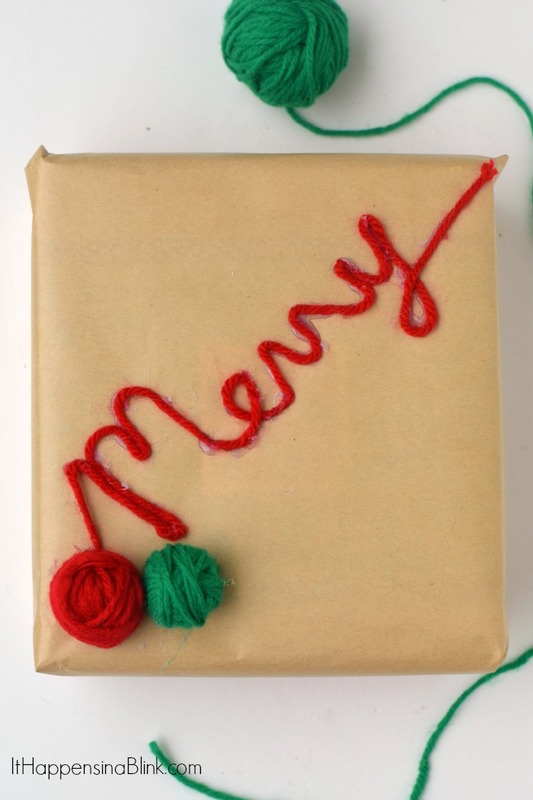 Use them to create thoughtful, inexpensive, and easy gift wrapping. Decide what word that you want on the front of the gift. “Merry” is easy. If you have difficulty picturing how the word should look in your head, write it down on a piece of paper. I started with the end of the word first. This kept me from running out of room at the end of the word and helped me space out my letters easier. Hot glue each small section as you go along. 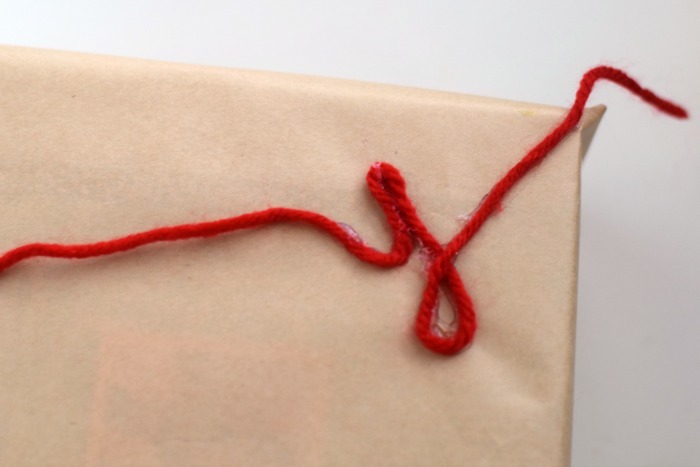 After completing the word, don’t cut off the yarn. Roll it up into a small yarn ball. 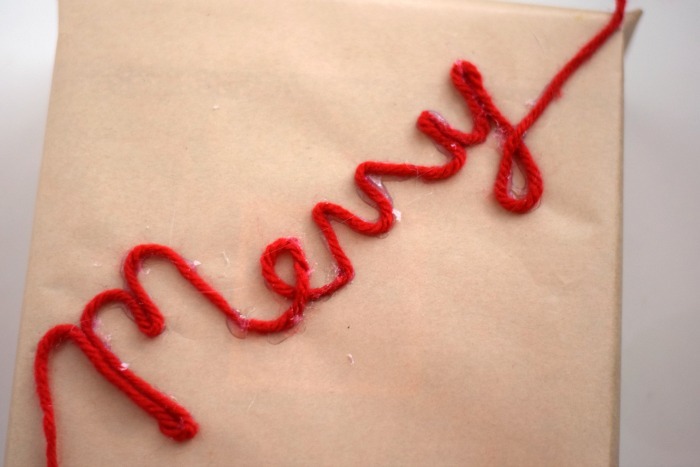 The idea is to make it appear that the yarn has come unrolled and formed the word. I added another yarn ball in a festive color to the side. Hot glue the yarn balls in place, being sure that the end of the ball is tucked underneath so that it is secured in the hot glue. 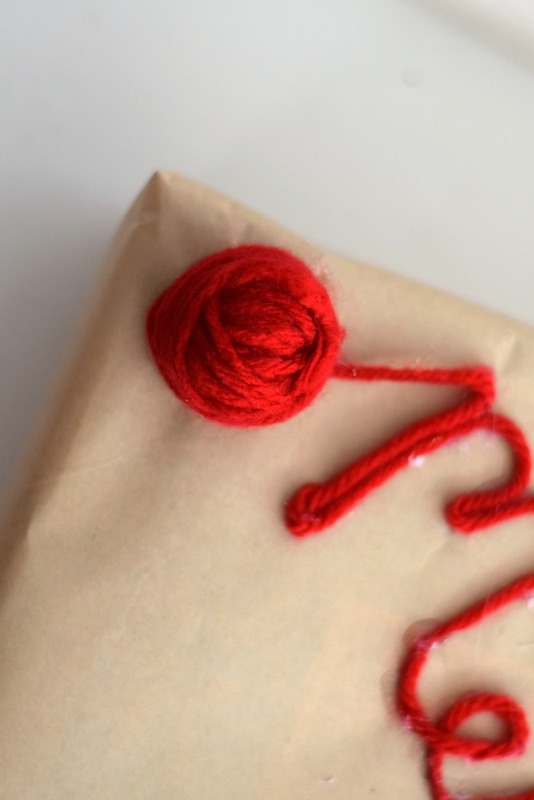 Do you have a yarnie in your life that would appreciate this packaging? 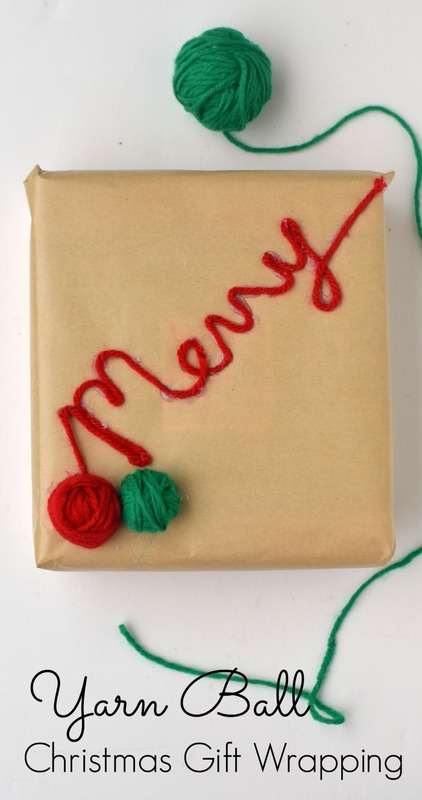 Use it as a last minute gift wrapping idea this Christmas! LEGO® KidsFest Charlotte Ticket Giveaway!